At Prairie Custom Products, how your customized apparel looks is our top priority. If your company has branded apparel, it needs to be excellent. Our quality products meet expectations for the level you would be proud to carry your logo or identity. Long sleeves, short sleeves, vests, sweaters, zippers, buttons, in all shapes, styles and colors – we can source practically anything you are looking for, and decorate it with the latest techniques. It a nutshell…we’re here to make your job easier. 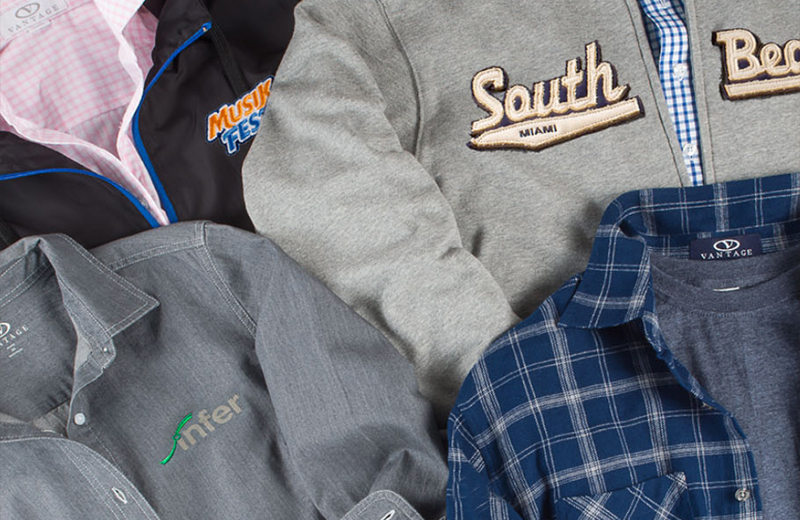 When it comes to quality decorated apparel, trust Prairie Custom Products. Browse these manufacturers to get ideas and call us for a quote! Copyright © Prairie Custom Products/Prairie Production Co. All rights reserved.